In a three-city tour connecting Buenos Aires, Seattle + Mexico City, Velocity SCUBA 2014 Artist Elia Mrak (SEA), Viko Hernandez (MEX) + Martin Piliponsky (ARG) debut their own powerful trio and create a new work on three Seattle dancers. All ideas, images, and movements are created in collaboration with The Samurai Project August workshop participants and further refined during a week-long residency with selected dancers. An immersive workshop to study technique, train in improvisational practice, and contribute to the creation of a new piece. Work together with Elia Mrak (USA), Viko Hernandez (Mexico) + Martin Piliponsky (Argentina) and cultivate community. Learn physical floor work based on the principals of David Zambrano’s Flying Low, develop musicality through folk dancing and breakdancing, improve your partnering abilities, and improvise with more confidence and skill. Create a solo, compose within a group, train physically and creatively. Four dancers will be selected to spend an additional week creating a new work performed AUG 22 (8PM + 10PM) at Velocity in a shared evening with Mrak, Hernandez + Piliponsky. Elia Mrak, Viko Hernandez, and Martin Piliponsky have been collaborating together since 2010, performing, teaching, and building community throughout Mexico, Argentina and the USA. They are building their tribe through technique, education, and creation. This is a big step in solidifying their presence across the pan-American dance scene and beyond. They will premiere a new evening-length work in Mexico City on September 19th. Elia Mrak – is a storyteller. His work fuses physical technique with the imaginative spirit. 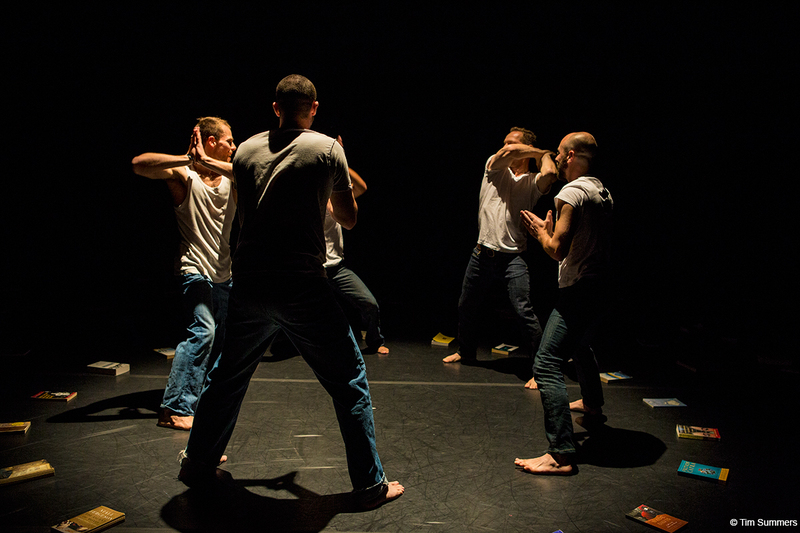 Transforming his practice of Qigong, Bboying and Flying Low, he weaves stories through the dramaturgy of the theater. He has performed, taught, and directed throughout the last decade of working in Europe, Central/South America, and the United States. He includes in his list of masters: David Zambrano (BELGIUM), Park Young-Cool (KOREA) and FeverOne (USA/Rocksteady). He is rooted in Seattle, where he works, both solo and in partnership with Velocity Dance Center, Washington Hall, Cornish College of the Arts, The Beacon (Massive Monkees) and Seattle Aikikai. He was a 2014 SCUBA artist commissioned to create a new work by Velocity, and funded to tour it through Minneapolis, Philadelphia and San Francisco. Viko Hernandez – Originally from Mexico City, in 2006 he established his company KaizenDanza and from that year began overseas collaborations with various internationally renowned choreographers in Canada, Belgium, Austria, the Netherlands and Costa Rica. He has performed in Vancouver, Brussels, Amsterdam, Berlin, San Jose, New York, Chicago, Colorado, Los Angeles, Seattle, Örebro and Stockholm, and has taught workshops in Mexico, the United States and Sweden. He has recently been awarded several fellowships and awards for new creations in Mexico, the most notable being the Iberescena Fellowship he was awarded in partnership with Elia Mrak and Martin Piliponsky in 2014 for a new international creation project. Martin Piliponsky – Architect, dancer and teacher of contemporary dance. “Pili” has worked, taught, and studied in USA, Europe and Argentina, with teachers like David Zambrano, Lisa Nelson, Katie Duck, Benoit Lachambre, and Jeremy Nelson. He graduated in Architecture from UNT in 2004 and until 2011 lived in Barcelona, Spain. 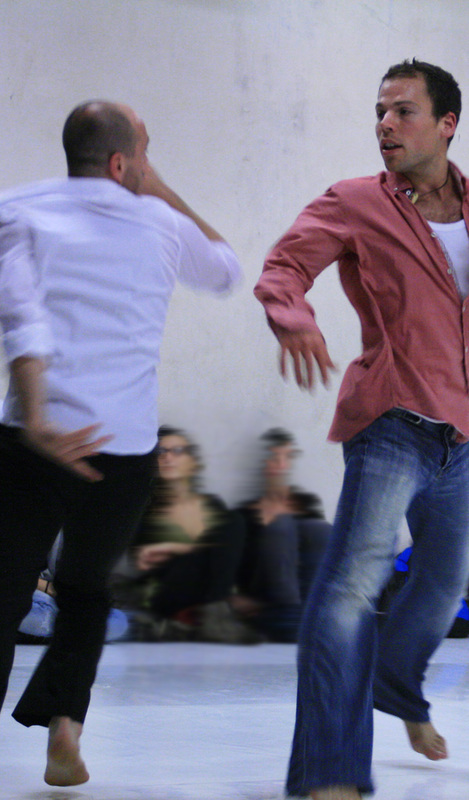 Since 2010, he has received full scholarships for ATELIER TANZ WIEN (2009) – Krems, Austria and DanceWEB IMPULTANZ scholarship program (2010), Vienna, Austria. He is currently touring his latest work created in conjunction with Elia Mrak,”a talk with myself” in Seattle, Argentina and Peru. He has worked with Elia Mrak and Viko Kaizen since 2010 and the Iberescena Fellowship is their latest collaborative work. The Samurai Project is made possible through Velocity’s Creative Residency Program. Velocity’s presentation of The Samurai Project is made possible by generous support from season sponsors The Western States Arts Federation, The New England Foundation for the Arts, The Seattle Foundation, 4Culture, ArtsFund, The Office of Arts & Culture, The Pruzan Foundation, Pacific Continental Bank, the Morris Clitherow Family Fund and Media Sponsor KUOW.